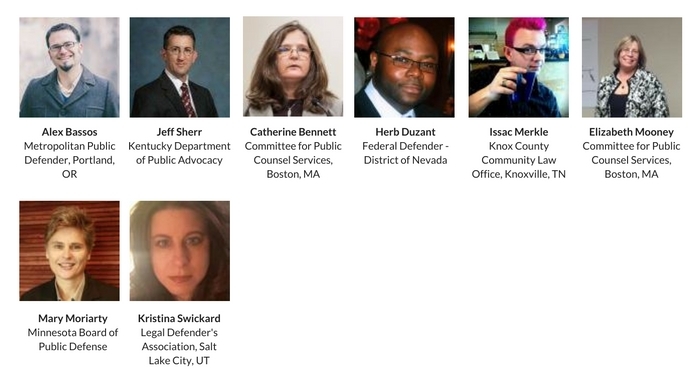 The MyGideon Committee is in charge of developing a secure, hyper-practical, intuitively organized resource website for public defense professionals. MyGideon is for attorneys in the courtroom, social workers finding alternatives to prison, investigators in the field, IT staff keeping their offices ahead of the technological curve, budgeteers trying to make the numbers pencil out, policy leaders making change, and anyone else who is essential to the public defense movement. organized so that you can find the information you need within seconds. The committee is chaired by Alex Bassos and Jeff Sherr.